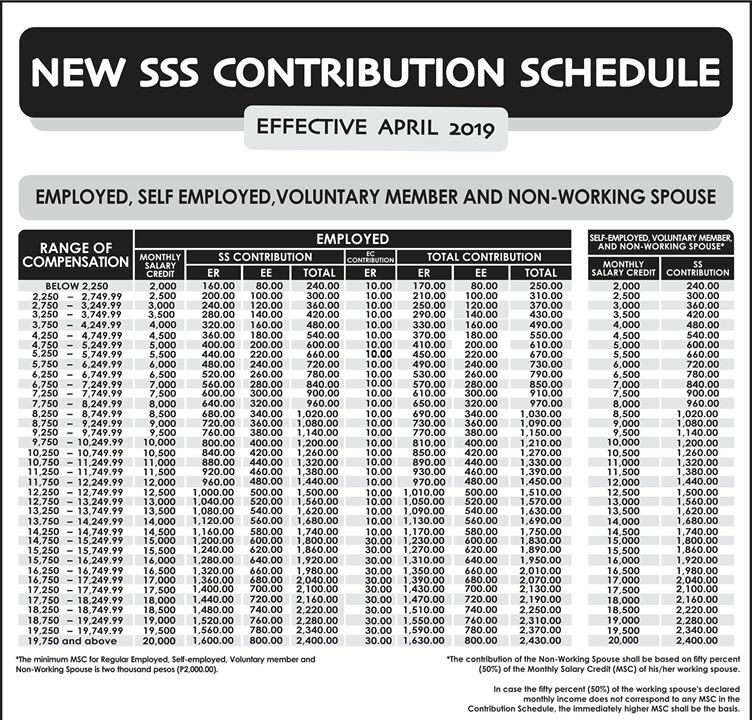 According to the official Facebook Page of Social Security System, there will be a New SSS Contribution Table 2019 to be effective starting this April. This will be payable in May 2019. 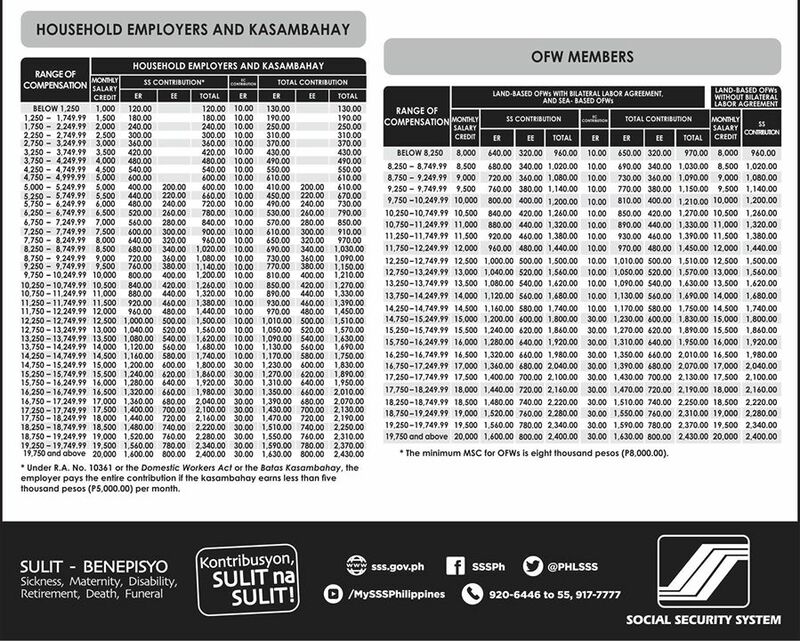 The minimum Monthly Salary Credit (MSC) for Regular Employed, Self-Employed, Voluntary member and Non-Working Spouse is two thousand pesos (PhP 2,000). The contribution of the Non-Working Spouse shall be based on fifty percent (50%) of the Monthly Salary Credit (MSC) of his/her working spouse. In case the fifty percent (50%) of the working spouse’s declared monthly income does not correspond to only MSC in the Contribution Schedule, the immediately higher MSC shall be the basis. Under the RA No. 10361 or the Domestic Workers Act or the Batas Kasambahay, the employer pays the entire contribution if the kasambahay earns less than five thousand pesos (PhP 5,000) per month. The minimum MSC for OFW’s is eight thousand pesos (PhP 8,000).